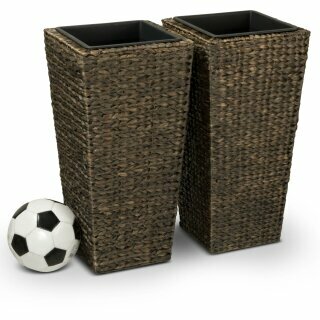 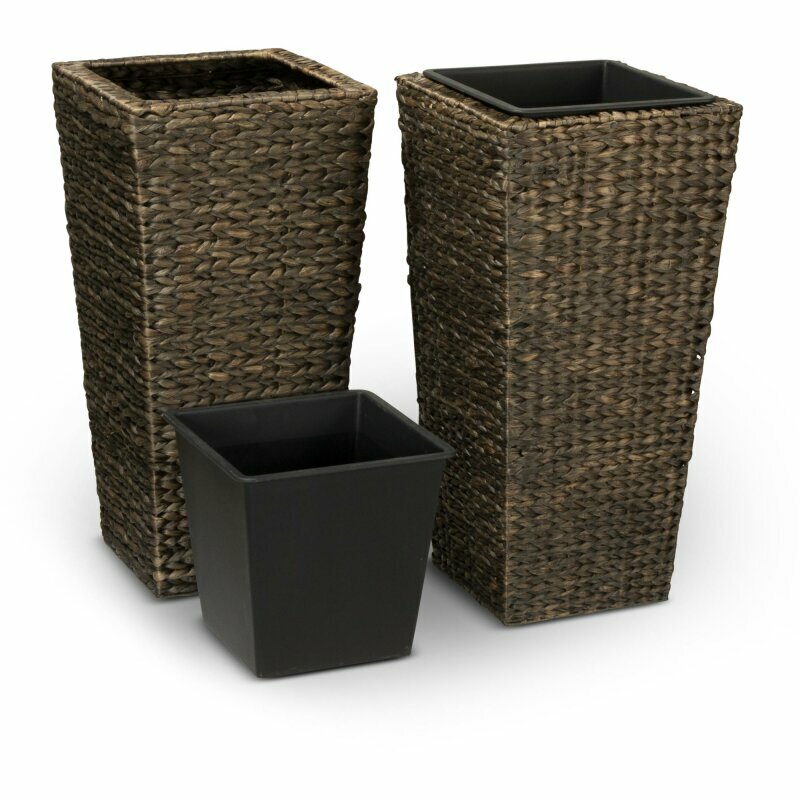 Our Plant Pot LAVIA 70 is now available as a set of 2. 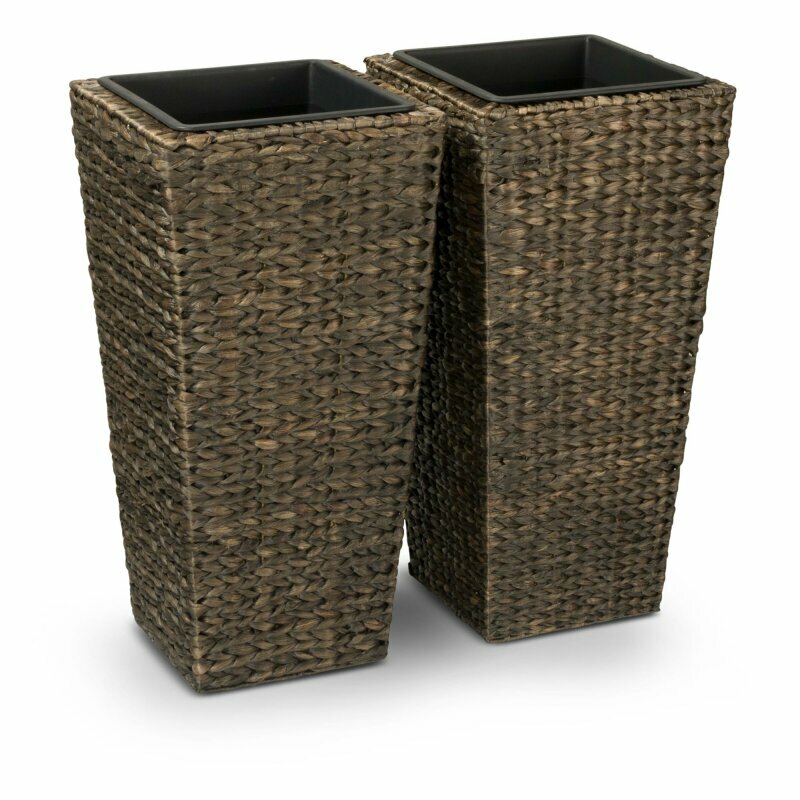 Both planters are made out of water hyacinth branches and are carefully manufactured by hand. 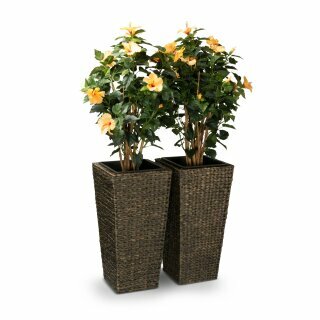 The branches are braided around a stable, robust metal frame. The flower pots have a very natural appearance and create a warm atmosphere in every home. 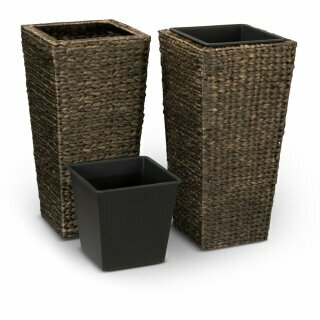 To manufacture the plant pots only water hyacinth branches are used. Water hyacinth is a free-floating perennial aquatic plant, which is native to South America. 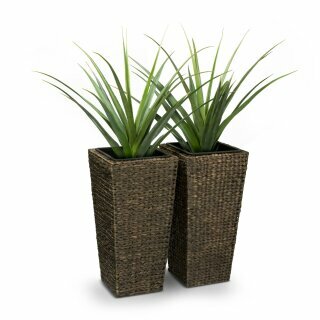 Furthermore, it is a very fast growing plant which makes it ideal for the sustainable production of basketware. 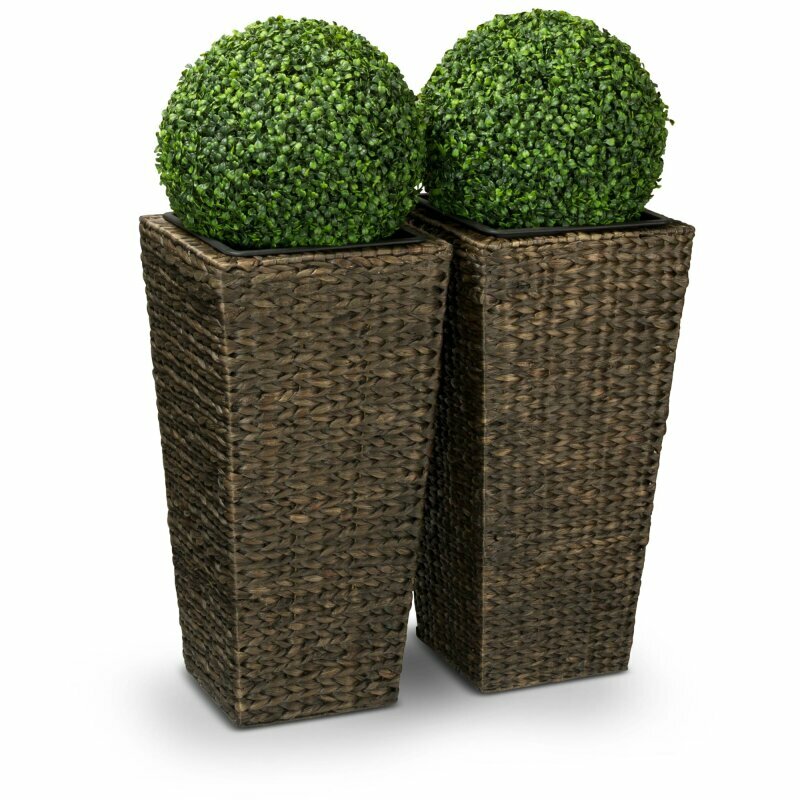 To protect the plant pots from moisture, the surface of the water hyacinth branches are covered with a thin layer of wax. 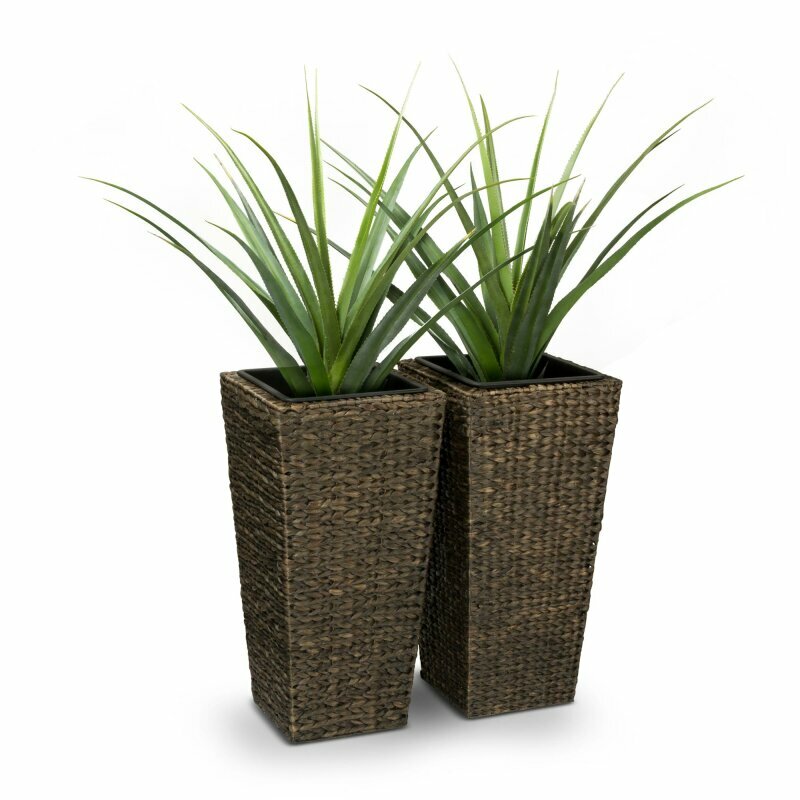 This creates more long-lasting flower pots.